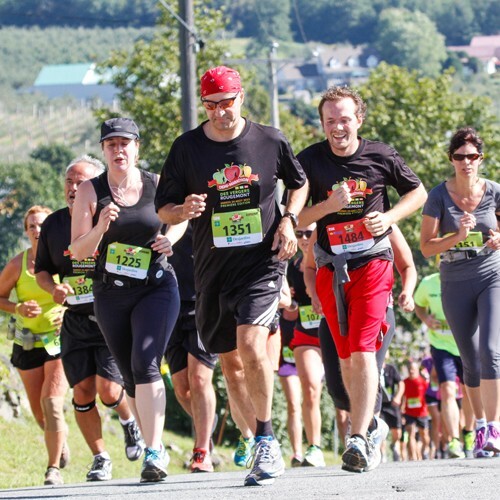 Les Courses gourmandes offers various circuits in the Montérégie region to promote running while showcasing local products and local tourist attractions by thematic or gourmet events. The race is accessible to all, includes several levels of difficulty, and shows the landscapes of the region and the treasures in it. Celebrate the joy of sports, the outdoors and the good food! Respect for the environment. Promotes buying locally. Shuttle from Montreal ($). Daycare ($). Boutique on site and online. Picnic area. Playground. Product tastings. Different prices according to registration and course. https://tourismecoeurmonteregie.ca/wp-content/uploads/2016/05/coursesgourmandes.jpg Les Courses Gourmandes Les Courses gourmandes offers various circuits in the Montérégie region to promote running while showcasing local products and local tourist attractions by thematic or gourmet events. The race is accessible to all, includes several levels of difficulty, and shows the landscapes of the region and the treasures in it. Celebrate the joy of sports, the outdoors and the good food!